My final leg of India golden triangle is Delhi, where the capital of India, New Delhi is located. This is also a place full of billionaires and millionaires!! First, lets stop worrying them and go find out places of interest. 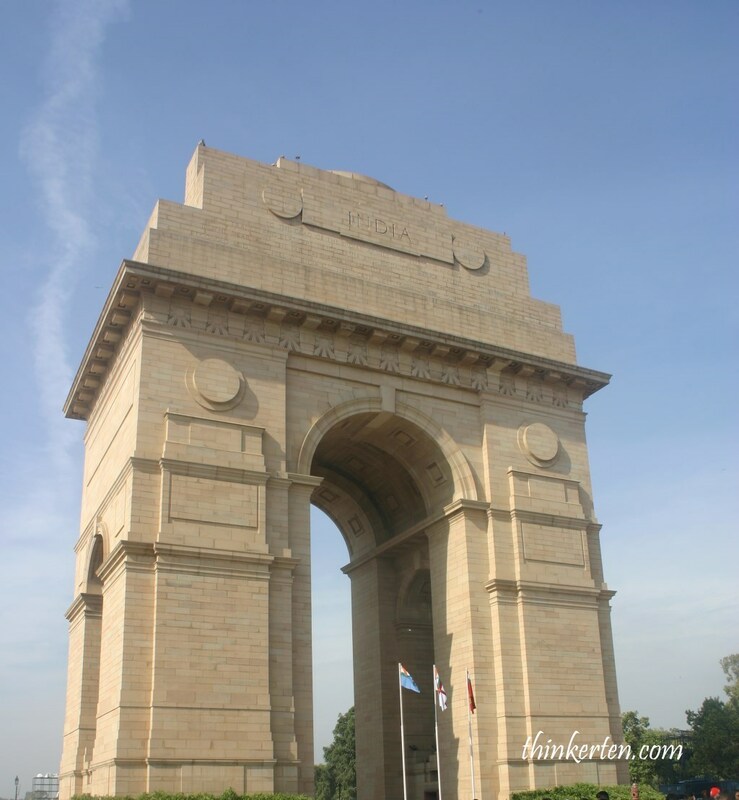 India Gate is a war memorial for Indian Army who died in the first world war. When I arrived in the morning, the place is full of local tourists, having some family bonding time, picnics etc. 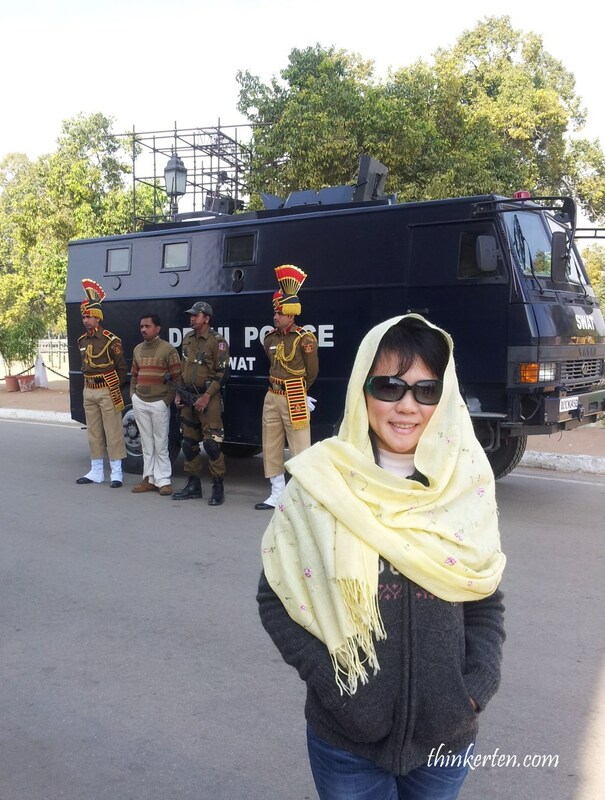 I saw Delhi soldiers were on duty, their uniform were quite flashy so I took a picture in front of them. Don’t you just love their colorful turban? This is a special temple or I should say a space for people of all religion to gather, reflect and worship. Any religion can come here to have some peaceful time and meditate and pray to your own god but no choir or musical instrument is allowed inside the hall. 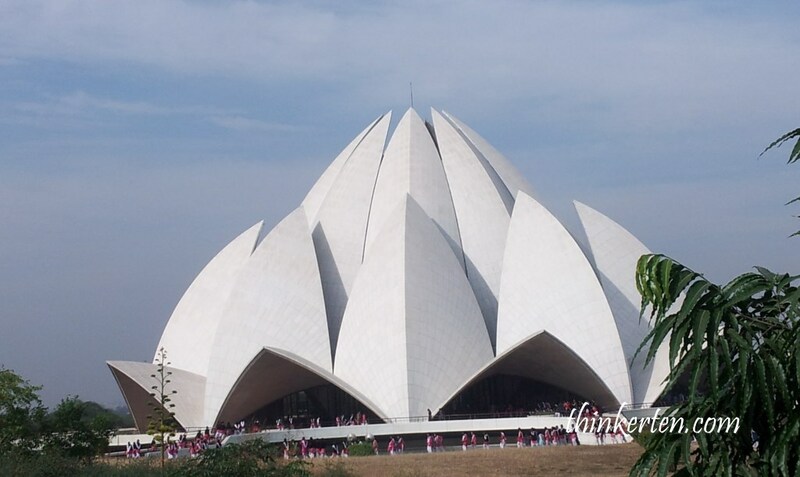 It is free of charge so it you are in Delhi, why not make a trip here to have a look at the best architectural marvels in the county in modern times? To me, it looks like half open lotus and resemble Sydney Opera house. What do you think? 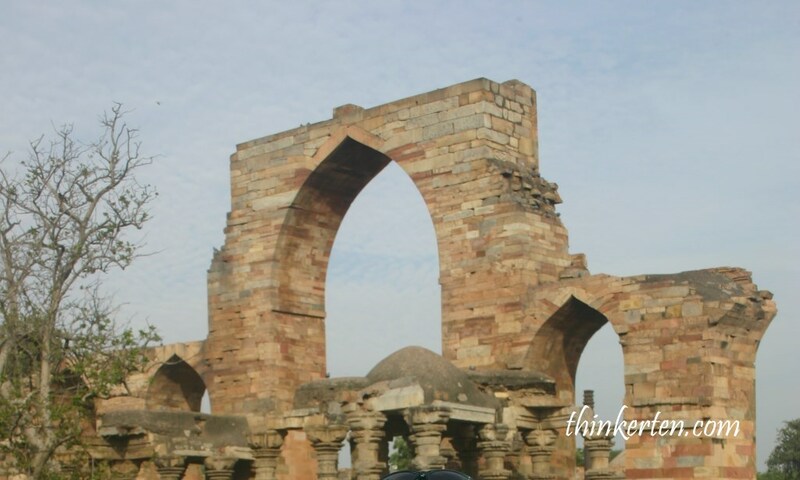 This is a Unesco World Heritage site and is worth to visit while in Delhi. There is a tall minaret or tower which is so prominent that you will not miss. The tower is the highest in India. The 73 m tall tower is so tall that it was struck by lighting few times and was repaired later. The tower style is Iranian which was built as tower of victory to commemorate the defeat of the last Hindu kingdom in Delhi. Calligraphy beautifully crafted on the tower as seen from bottom up. This place is an ancient ruins which is quite serene and clean to walk around and take rest. I was there in the early morning so not many tourists yet. 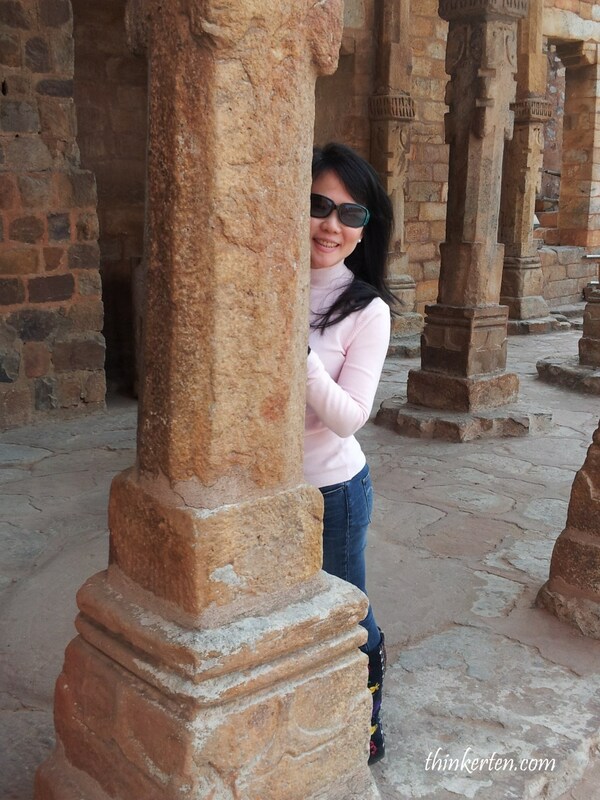 Why Qutub Minar was bulit? 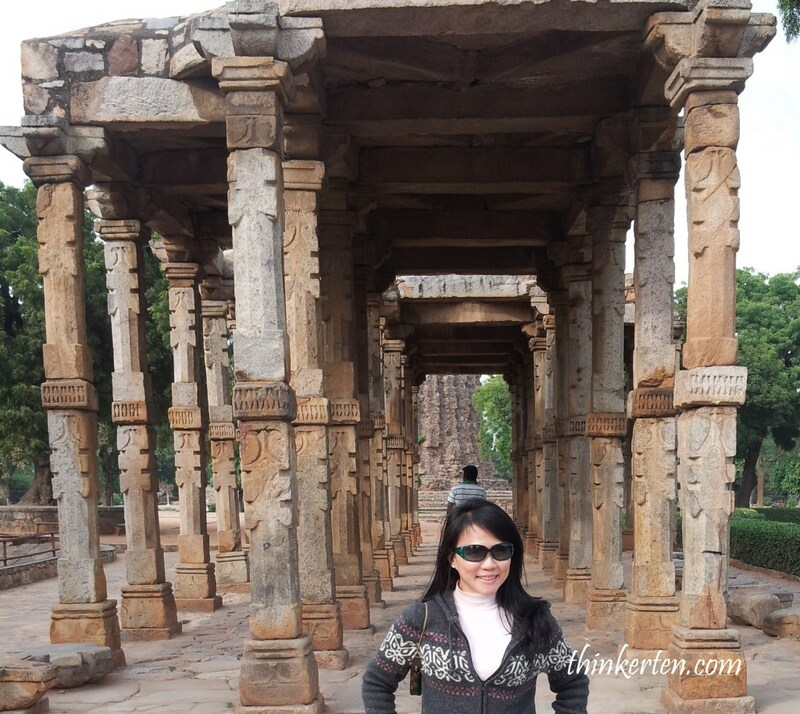 Qutub Minar was built by the Mughal invader and first Mughal ruler of North India. 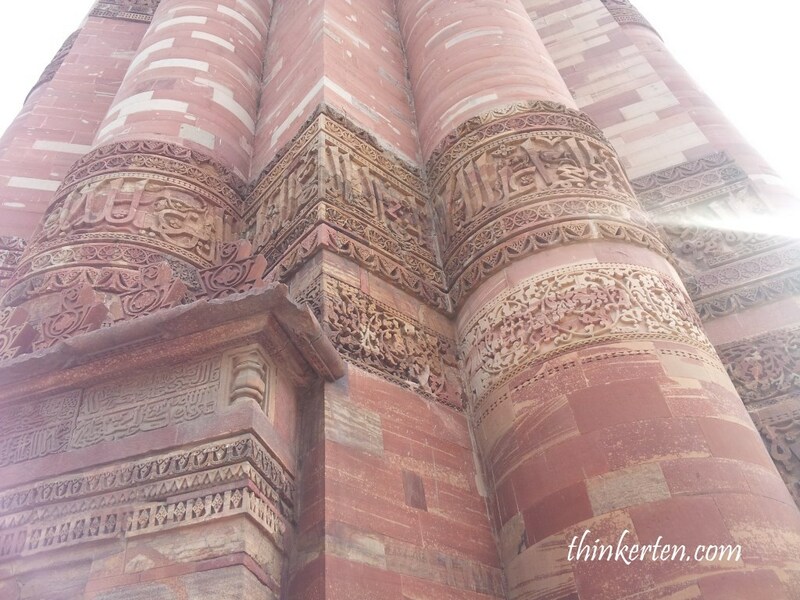 The word Qutub Minar means ‘pole’ or ‘axis’ in Arabic. A great place for photography and some cool air under these sandstone ruins. 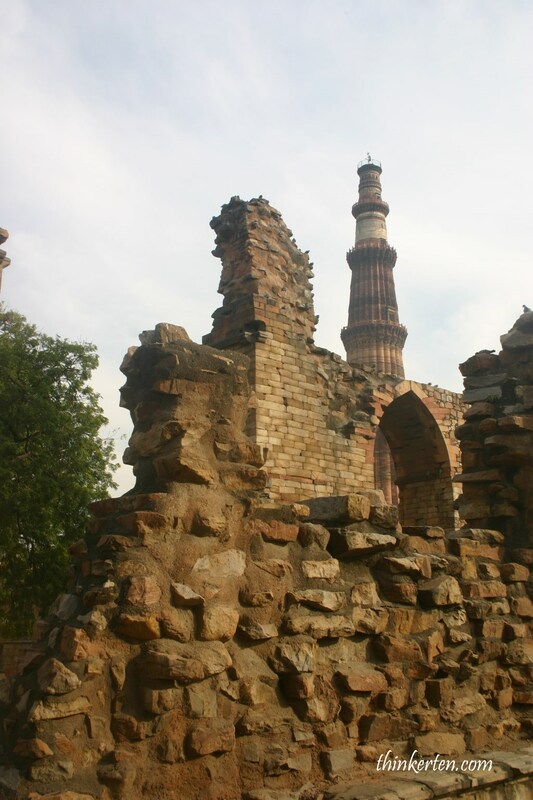 Parts of the Qutub Minar complex have been built out of Hindu temples, refer to picture below. See the millionaire shop in Indian busiest mall? My last stop is at a shopping mall in New Delhi and I got a chance to see how do the upper class spend. I noticed the cars that driven in the shopping mall are mostly luxury brand, BMW, Lexus, Jaguar etc and some were with their drivers. When the rich finished their shopping, driver rushed to help out with their shopping bags. 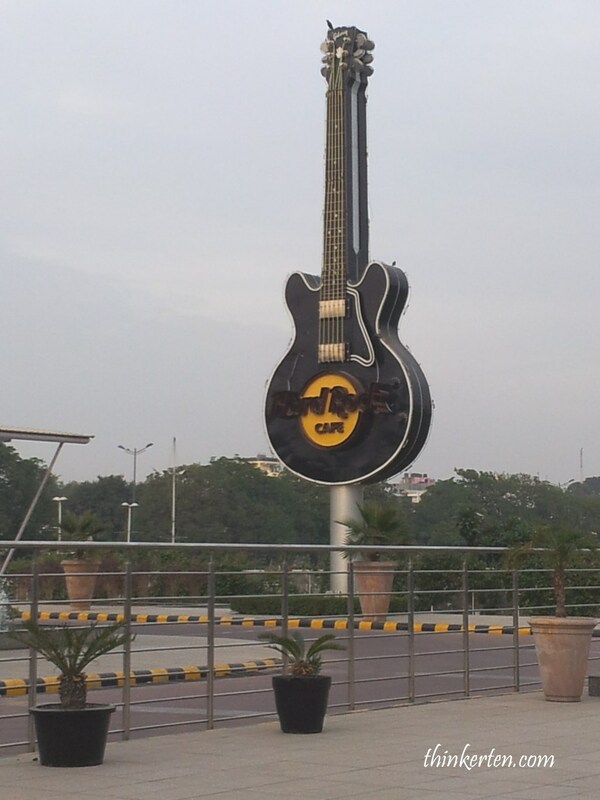 This is other side of India which I saw in New Delhi. If you want find more billionaire, go to Mumbai as it is rank no 1 in India. Local Indian on the streets may approach you to have pictures with them, don’t panic, just smile and strike the best pose. They are just friendly people and they don’t bother you, after they took the pictures, they just giggles and walk away. Billionaires and Millionaires in DelhiCalligraphy on the bottom of tower Qutub MinarCelebrity treatment in IndiaDelhi soldiers unifromIndia GateIndia Golden Triangle : DelhiLotus Temple DelhiQutub MinarQuwwat-ul-Islam Mosque in Qutub MinarSee the millionaire shop in Indian busiest mall?Why Qutub Minar was bulit? Get a JUMP of your day in Singapore Botanic Gardens – Unesco World Heritage Site!